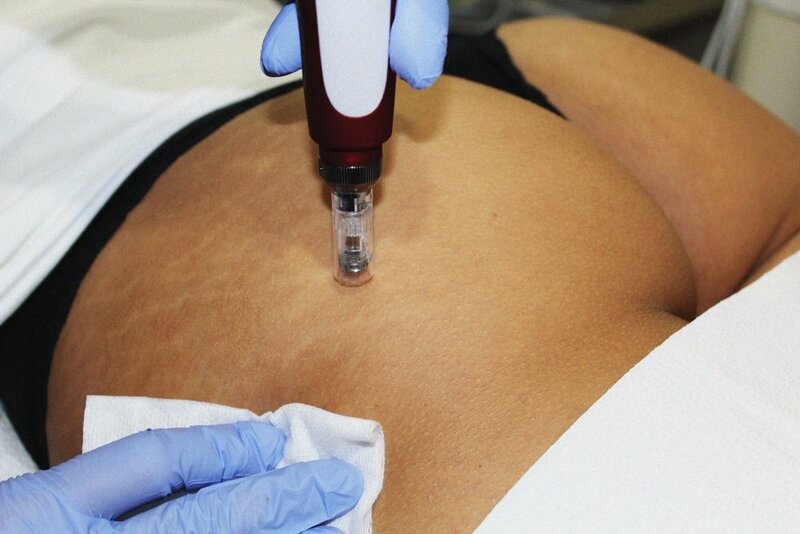 Dermapen is of the latest techniques in Collagen Induction Therapy (CIT). CIT is a great way to achieve renewed skin with effects of a fraction lasers, but without the downtime, or expense. Collagen Induction Therapy is especially effective for aging concerns such as wrinkles, crows feet, lines, folds, and pigmentation. Because collagen is produced, texture, acne scarring as well as other scars, and stretch marks will also improve from treatments. The dermapen works as it gently stamps over your skin. This creates micro-point punctures in the skin, the majority of which are simply pushing your pores open temporarily. This is perceived by the body as damage, which stimulates the release of growth factors that trigger the production of collagen and elastin. Your skin reacts to any injury by initiating the healing process. The result is smoother texture and younger looking skin.